For stickers, you will need to print this page on sticker paper. If you prefer, you may print on plain paper or card stock and apply using a glue stick. Individual images must be cut out. 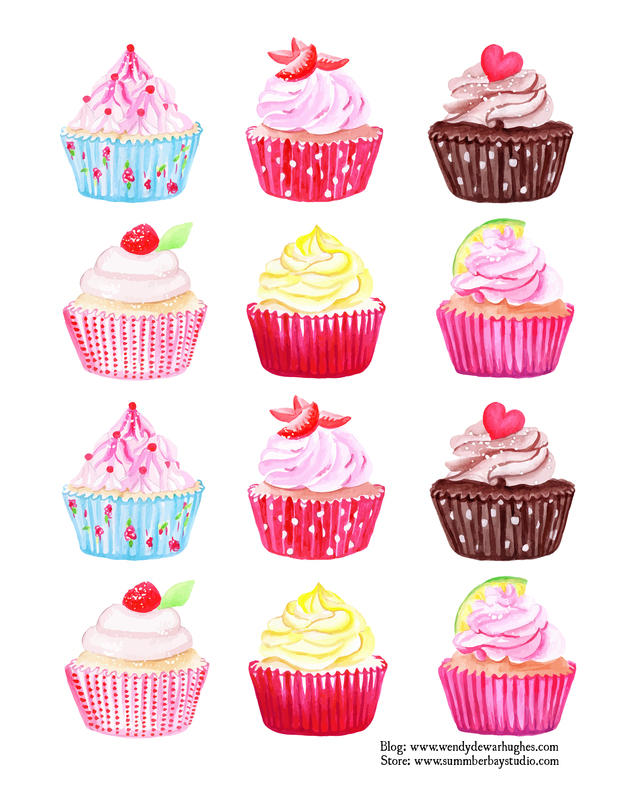 You can also find pre-cut Hey Cupcake stickers in my store, Summer Bay Studio.